If you've just joined the Big Tent please take a minute to say hello and introduce yourself. Simply add a comment below, you might like to include what sort of paraplanner you are, where you work & what you're interested in. Favourite chocolate bar is always a good start. Feel a bit like I'm answering myself here but let's get things started and into the spirit. I work at The Paraplanners and therefore on the outsourced side of things. Spend a lot of time on Twitter talking about F1, Apple and a bit of financial planning. Not a fan of trite motivational quotes. I'm Claire, I work at The Paraplanners and behind the scenes on the mini powwows. I'm Nathan, I work at Plan Works and have also been involved with some of the mini powwows. I think this will be a great forum for us all to share best ideas and practice. Thank you to those involved in the launch and operation. Hi all, Cor its still a bit roomy in this big tent, I bet it'll fill up loads over the next few weeks! I'm Matt and I'm an in house Paraplanner at Crown Wealth. I've helped a little with the powwows and I'm looking forward to seeing how this new forum develops. Hello! I'm Susan and hail from the (so far I think) most northern reaches of the PowWows - Dundee. I work in the financial services arm of an accountancy practice and wear many hats - literally and figuratively. This is a fantastic idea that's grown so much over the last few years it's got it's own language. Wotcha, I'm Alan, outsourcer at Argonaut. I co-run Powwow Down South with that dodgy Nathan Fryer chap. I like dark chocolate. Also a bit of a sucker for Reisen chocolate chews. And Bendicks Bittermints. Not strictly chocolate bars, I know. Impressive tent - thanks and congrats to all involved! Nice variety of chocolate there Alan. Hey everyone! I'm Kat, I work at the Paraplanners and spend lots of my time with my head stuck in one cash flow system or another. I love trust work and pretty much all chocolate (especially galaxy) but I most of the time have to hide the chocolate as it interferes with my plans to be a super-strong paraplanning machine. Also, due to the latter, I eat a lot of broccoli. I'm Benjamin and I am a paraplanner. I loved the old forum and I think I'm going to love this one too. I specialise in pensions but to be honest after more than a decade I'm struggling to keep up these days! Good to see you here Benjamin. I think this one has the potential to be even better than the old one. It has smileys for a start. Howdy! I'm Caroline and I'm an in house paraplanner at DB Wood. No particular speciality, just trying to learn enough to be able to look for answers to the questions I don't know! Fave chocolate - probably Munchies, unless feeling a little bit posh when it would have to be Charbonnel et Walker Marc de Champagne truffles. Hallo all! 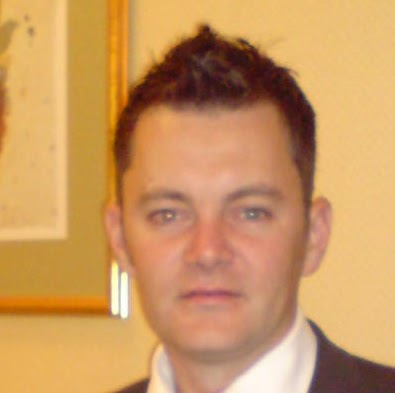 I'm Dan and I am the Senior Technical Consultant at EQ Investors in London. Part of a team of 6 Paraplanners supporting 12+ advisers (I lose count!). I'm interested in developing our profession and encouraging others to do so too. To this end I write for Professional Paraplanner (and shortly Financial Planning Today) and other places from time to time. I've been part of the PFS Parapalanner Practicioner Panel since April 2015 and have just joined the CISI Paraplanner Interest Group. I'd love to hear how I can help and promote Paraplanning. Hi everyone. I work at the Paraplanners alongside Richard, Kim, Claire, Gemma and Kat - what a team!. I'm based at home, Penicuik, south of Edinburgh. I spend most of my time doing cash flows and technical pensions work (isn't all pensions work technical nowadays eh?). I've worked in all sorts of in-house roles too - small firms, nationals and even a bank (I know!). I'm a bit of a regular at the Powwows. I love that our profession is so willing to share and improve standards - because we want to. It's great to be part of such a wide family of like-minded people. When I'm not working I can often be found on the piste - petanque piste that is. If I'm honest I'm a bit obsessed. 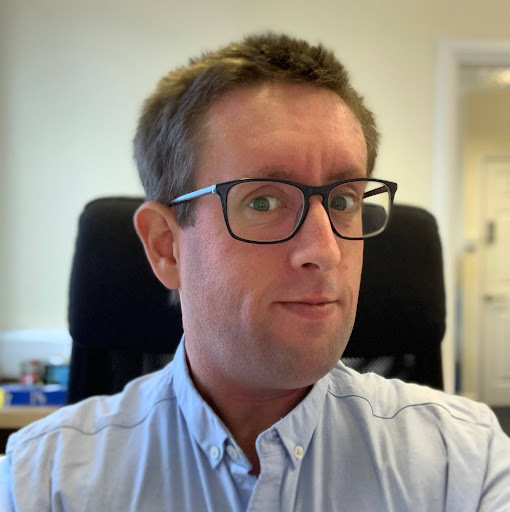 I'm Andy, the sole paraplanner at Ovation Finance in Bristol. As the only paraplanner in the company, I have to be a specialist in everything, know what I mean......? I've been to 3 of the big powwows and am looking forward to more. Who knows, we might even have a small one down here in the sunny southwest! Like Dan, I'm not all that fussed about chocolate but I do like sweets. Haribo, fruit gums or wine gums for me please! Morning all! Bit slow to the party. I'm in-house in a small firm and usually happy to muck in with the paraplanning side of anything that's going on! I am Susan and I have now been a freelance paraplanner for just over a year. I worked as an in house paraplanner for a couple of firms previously. Chocolate - I try my very best to keep away from it - I like it too much!! I am Becci and an in house paraplanner in a team of 5 looking after 6 advisers. I have done this job for 11 years now, having also previously been a paraplanner for another company for 18months as well. I delve into most areas of financial planning and advice but do most of my work currently in pensions and employee benefits-group pensions, auto enrolment, group risk, business protection. I am a chocoholic! Think my favourite would have to be Galaxy chocolate but have a weak spot for Yorkies as well (even if they are not for girls!). Looking forward to being part of the Big Tent and hopefully making the Powwow again this year. Looking forward to a good year, been quiet since Christmas, but finally picked up to the point that I don't know whether I'm coming or going! Excited to be part of the Big Tent - lets make Paraplanning a career of choice rather than a stepping stone to being an adviser. What a great site! I'm Alyson and I work at Carbon Financial Partners' Perth office. I've worked here since leaving uni 5 1/2 years ago and have worked my way up the ranks and through many, many exams. I've been Paraplanning for around 3 years now and have recently reached CII Chartered status. As I come from a legal background education-wise, I feel happiest wading around in trust reports, although the variety of work we have at Carbon keeps me interested in all sorts. I'm definitely more passionate about the linguistic side of Paraplanning than the numerical side, as translating complex technical subjects into plain English comes seems to come more easily to me than comparing TVAs results, but that's one of the wonderful things about Paraplanning - we all have such different skills and strengths to bring to the table. When I'm not Paraplanning, I'm planning my very imminent wedding and doing Pilates (to prepare for said imminent wedding) as well as dabbling in a couple of recipe and lifestyle blogs (I did warn you that I thought of myself as a bit of a wordsmith!). I like most chocolate, apart from Fry's Turkish Delight. And Haribo. And Wine Gums. And cake. JoCHague - try using less chocolate, better chocolate or more rice crispies (or all of the above), and let the chocolate cool to room temperature before you add the crispies. Congratulations on getting The Big Tent up and running - I'm sure it will be a great success. I'm Mandy (fly me ...for those who are old enough to remember ...!) and, along with Dan and a few other paraplanners who share a love of the profession, sit on the PFS Paraplanner Practitioner Panel. I've worked in the financial services industry for over 20 years and enjoy all aspects of the role. I'm currently focussing on client development, but have recently written a couple of paraplanning articles for the PFS FS Magazine and get a real buzz out of mentoring new paraplanners and encouraging people to join our industry. I'm definitely a Cadbury's girl (and like Alyson above, cannot abide Fry's Turkish Delight!). Lest I give the wrong impression, I speak neither of the languages used above. I was anxious to enter the PPOY competition last year but could not find an adviser willing to write 500 kind words about my capabilities. Sometimes funny, often offensive to people who don't understand irony or sarcasm. I am happy to offer advice and feedback to anyone looking for wildly opinionated viewpoints on subjects such as crazy baby names, the correct footwear for funerals and the Bradford Factor. Look forward to robust and substantive discussions about all things Paraplanning. DON'T JUDGE - I am more of a savoury person and can take or leave chocolate. IF I had to be drawn on it - I'd favour a Cadbury Eclair. Yes I know it's technically a hard candy. Haters gonna hate. I’m Keith, from way down south in gorgeous sunny Cornwall – on the north coast (Atlantic) side, just outside of Surf City, aka Newquay. I've been ‘in-house’ paraplanning for a local firm of chartered IFAs since June 2011; but decided to go fully outsourced with effect from 1st January this year. My new firm is called ‘Paragon Planners’, which I guess is a slightly misleading handle for a one-man band sole-trader working in a conservatory from home. Ahoy - better late to the party than never!! Got to agree with Paraplanneriffic, although I start with a bit of dark chocolate and move onto BBQ Kettle Chips...paraplanners gotta eat!!! I look forward to seeing how much information will burst through the big tent! I'm a lover of Paraplanning, Munchies, Percy Pigs, F1 and other fun stuff. Exciting times for Paraplanning and it looks like there could be some very interesting conversations going in the big tent, make sure you bring your Thermos (other brands of 'keepy warm' drinks containers available). Been a paraplanner for a good few years now and I'm excited for the work being done on making paraplanning more of a profession. I work at a Chartered Financial Advisers in Hampshire. I have been paraplanning for just under a year with 5 years of administration under my belt previously. I'm in a team of 9 paraplanners who work for about 17 advisers. Some of us have specific advisers and others work from a pool of the rest. I think the forum is a great idea to all collectively get together and discuss topics. My favourite chocolate definitely has to be Cadbury's Caramel! I am a trainee paraplanner and I work with Poppy ^^^^ Hi Poppy. I have been a trainee for just over a year now and also previously worked in administration. As well as working in a big(ish) team of paraplanners I also work in a team for one adviser. I've done R01, 4 and most recently 5 and currently studying for 6. Any tips appreciated!